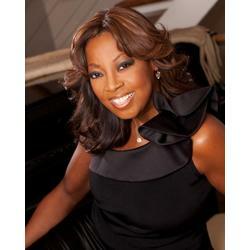 Star Jones is President and a member of the Board of Directors of National Association of Professional Women and Professional Diversity Network, a publicly traded company (NASDAQ: IPDN) and one of the youngest among a small circle of African-American women in the US helping to lead a public company. As President, Ms. Jones leads a nationwide team dedicated to supporting and advocating for Professional Diversity Network's (PDN) over 10-million member network of diverse job seekers along with providing expanded career, continuing education and networking opportunities for the more than 775,000 diverse professional women members in the over 200 chapters of the National Association of Professional Women (NAPW). Ms. Jones is responsible for the overall development, expansion, integration and implementation of the PDN and NAPW development and programming strategy. 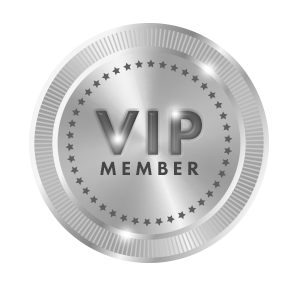 By utilizing the collective strength of the PDN affiliate companies, members, partners, the NAPW network, technology and unique proprietary platform, Ms. Jones and the PDN team set the standard in business diversity recruiting, networking and professional development for women, minorities, veterans, LGBT and disabled persons nationally. In addition, she serves as PDN’s "brand ambassador” conveying the organization’s message, brand and image worldwide. A former Senior District Attorney for the City of New York, Ms. Jones began her professional career specializing in victim and family advocacy as a Homicide and Major Crimes prosecutor. Expanding her reach, Ms. Jones worked in television for over 25 years, best known to television viewers for her candor, confidence and uncanny ability to clarify muddy legal and social issues. Offering a fresh perspective to the day’s most talked about crime and justice, political and sociological issues from the world of news, entertainment, politics and pop culture, Ms. Jones was a Legal Correspondent, Commentator and Analyst for over two decades. From 1997-2006, she was co-host of ABC’s hit daytime show The View. For her work in television, Ms. Jones has received nine Emmy nominations. Also an accomplished author, Ms. Jones has written two best-selling, non-fiction books: You Have to Stand for Something, or You'll Fall for Anything (Bantam) and Shine: A Physical, Emotional & Spiritual Journey to Finding Love (Harper Collins). Her third book, Satan’s Sisters, was published in 2011 (Gallery) and is being developed into a network television movie and series. A featured personality for numerous consumer brands, Ms. Jones has graced the cover of and/or been featured in virtually every major newspaper and magazine in the country on topics ranging from business and news to health and lifestyle. Ms. Jones is also heavily involved in numerous philanthropic efforts. Since 2011, Ms. Jones has been the face of the American Heart Association's (AHA) National Go Red efforts as a National Volunteer. She has lobbied Congress on behalf of AHA and was asked by the Presidential Inaugural Committee to speak on heart health at the National Day of Service during President Barack Obama's 2013 Inauguration. Ms. Jones continues to be seen in various media appearances as an expert on diversity and inclusion, women's health, women's empowerment and as a legal and media veteran analyst. A highly sought after motivational speaker, Ms. Jones frequently lectures on a variety of topics, including law, politics, race, gender equality, networking, women’s empowerment, pop culture, fitness and heart health.